Looking for a new challenge? Come along to this informal drop-in event run in partnership with our Initial Teacher Training provider, Inspiration Trust. There will be a short presentation from Inspiration Teacher Training director Michael Fordham at 4.30pm. 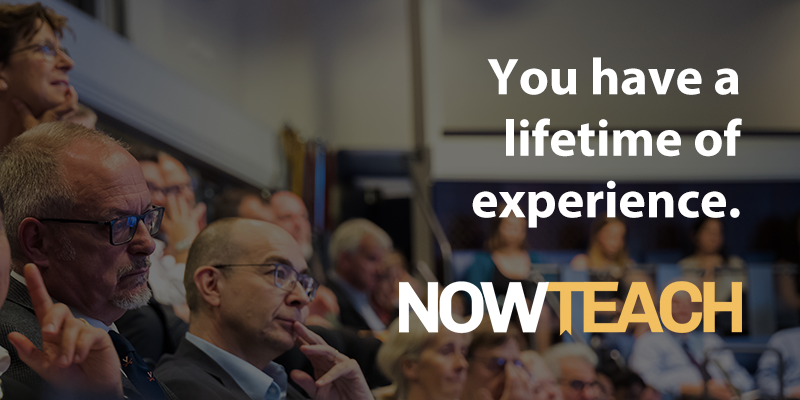 This event is a great opportunity to learn more about the Now Teach programme and what you can expect as a trainee teacher. Refreshments will be provided.